FOUR BLENDS FOR ALL TASTES. Delicato, Intenso, Soave and Robusto. The Aroma Mio range has been studied especially for use in vending machines. The four blends - one delicate and exquisite, the second full-bodied and intense, the third strong and creamy - are able to satisfy all tastes. 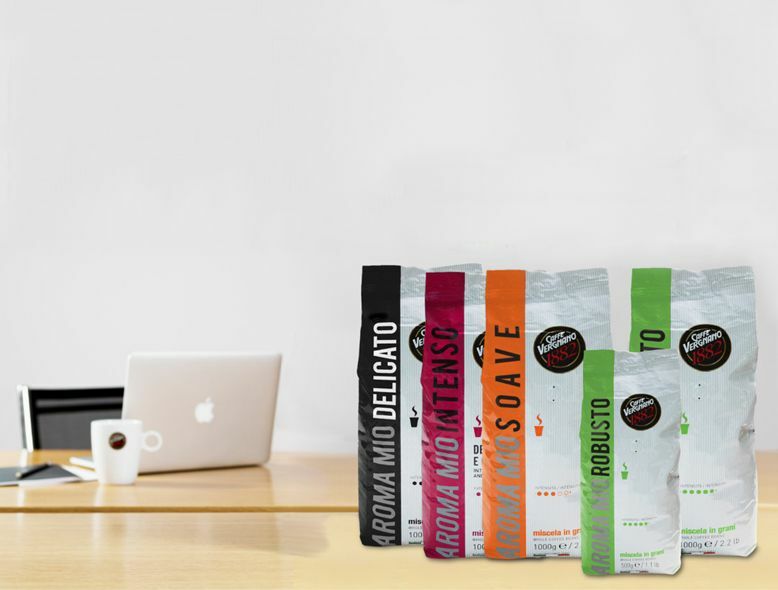 The high quality of Aroma Mio comes from a respect for the tradition of Italian espresso. 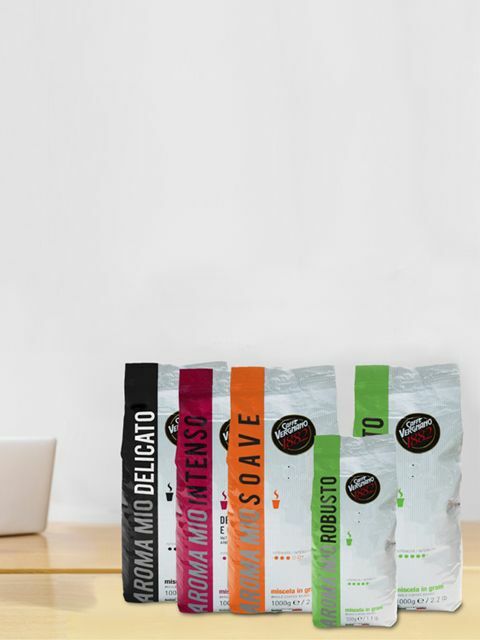 A meticulous selection of the best raw materials in their country of origin and the slow roasting process of the different varieties: this is the secret behind the qualitative excellence of the Aroma Mio blends. The roasting, the most delicate phase of the coffee-making process, is undertaken following traditional methods.